Italian Hot Chocolate is a mug full of creamy deliciously thick Hot Chocolate, made with real chocolate and milk, the ultimate Comfort Food. When my kids were little they would ask me to make Hot Chocolate and so I would, it was easy! Little did I know that they really wanted the kind their friends’ were drinking. When they got a little older and we would go shopping together, they would take me down the aisle where it was located or call me in the room when the commercial came on the TV. I bought it, made it and tasted it and I thought Wow, this isn’t half bad! Thick, creamy and chocolatey. I had no idea that the Italians knew how to make a better Hot Chocolate too! Isn’t it funny when you notice something new or are told about something new, you then start to see it everywhere. And I did, in coffee bars and of course friends started to talk about it. In fact I was at my friend’s house one day and the commercial came on TV for the exact same mix that I bought. “I tried that stuff”, which of course she responded with, “no homemade is so much better, I have the recipe for you”! 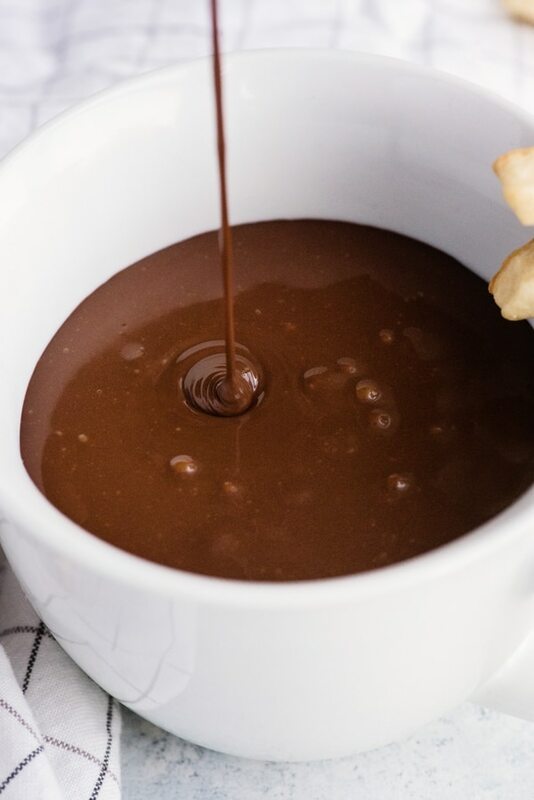 So here I am with the cool rainy weather starting and all I can think about is making a small pot of this amazing Thick Italian Hot Chocolate to go along with some just made Shortbread Cookies. This stuff is gold, made with real chocolate and a little cocoa, my friend said to use whole milk but I used 2% instead and it always turned out delicious. Unfortunately this is another recipe just like Italian Pastry Cream where stirring is required. But don’t worry the outcome is well worth it. In a small bowl whisk until smooth, 1/4 cup milk and cornstarch set aside. Sift the cocoa into a medium bowl then add the sugar and whisk together, set aside. 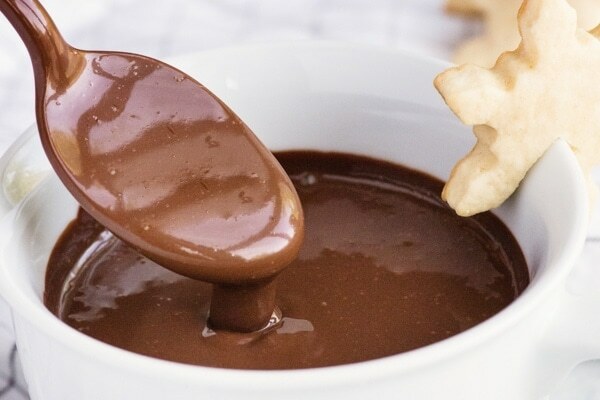 In a small/medium pot heat 3/4 cups + 1 tablespoon milk until boiling reduce heat to low, start whisking and add the milk/cornstarch mixture then add the cocoa mixture slowly while continually whisking until smooth. 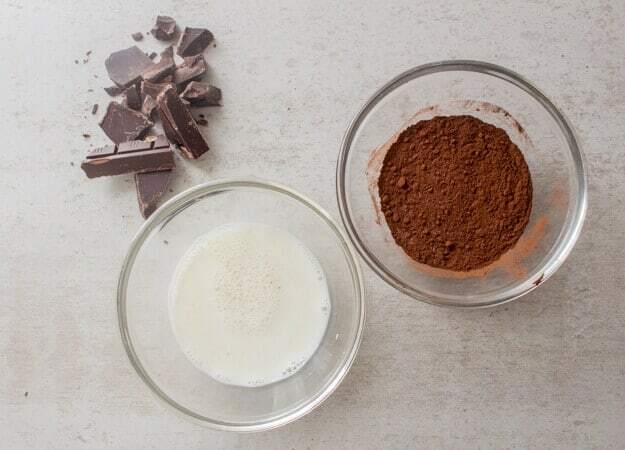 Then add the chocolate pieces and whisk continuously for approximately 3 minutes. Serve immediately. 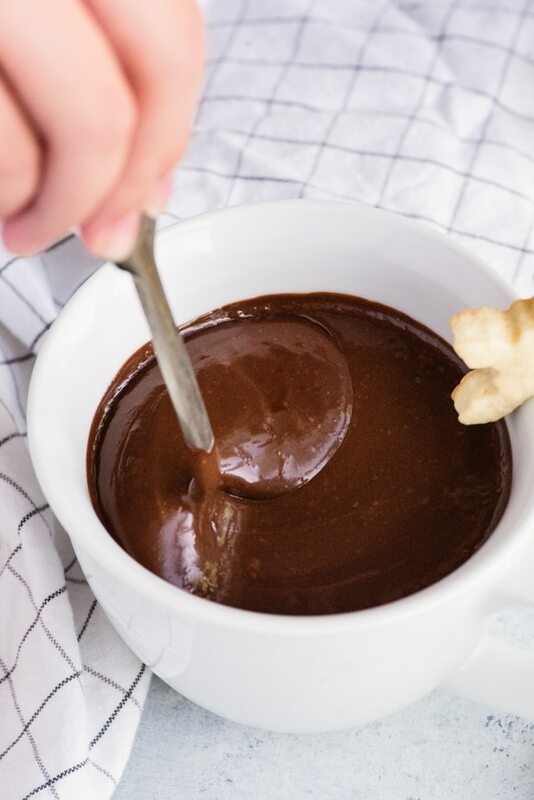 This Italian Thick Hot Chocolate Recipe is so creamy and delicious you don’t even need to top it with any whipped cream or marshmallows. But if you do, I won’t stop you. Enjoy! A mug full of creamy deliciously Hot Chocolate, made with real chocolate and milk, the ultimate Comfort Food. 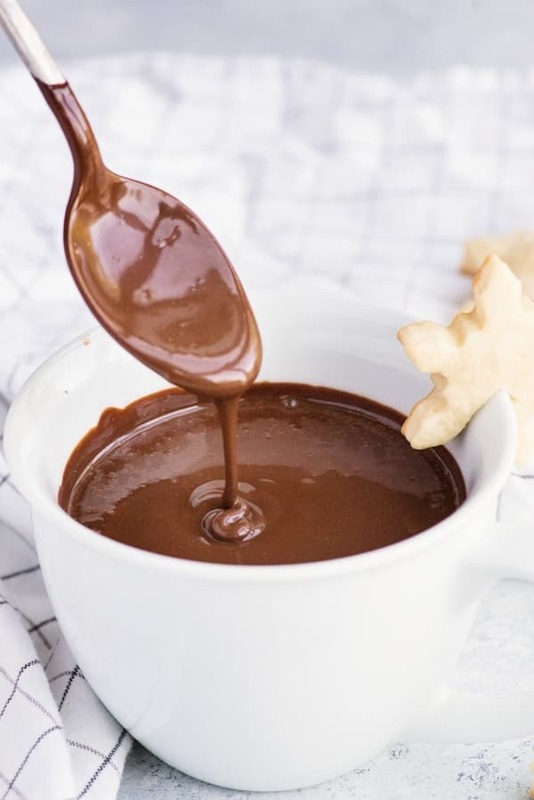 In a small/medium pot heat 3/4 cups + 1 tablespoon milk until boiling reduce heat to low, start whisking and add the milk/cornstarch mixture then add the cocoa mixture slowly while continually whisking until smooth add the chopped chocolate and whisk for approximately 3 minutes. Serve immediately. Enjoy! 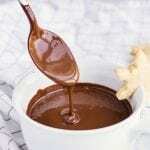 Do you use sweetened or unsweetened dark chocolate? Wondering if regular sweetened chocolate makes it too sweet when adding the sugar? Or perhaps it’s necessary? Hi Natalie I think the Italian dark chocolate is unsweetened (baker’s chocolate), the cocoa is also the unsweetened variety. If you find it not sweet enough you can always add some sugar. But I think it will be fine. Hello, just discovered your blog, it’s lovely and great recipes. I am half Italian and I grew up with this Italian hot chocolate, I always enjoy that in Winter. Have a lovely December. How can I correct , the spell correct errors on my comment? Hi Lois, I don’t think you can edit ones you hit enter, but don’t worry I did it for you. Hi as a rule I do not to join blogs or leave my email anywhere. But I find yours refreshing and formative clear concise and well done not to mention delicious recipes . And not living in Italy, I find your website refreshing and authentic. Thank you so much. I think I’m already on the mailing list but I just wanted to leave this comment. Perfectly rich and decadent. This would sure warm me up on those chilly winter evenings! Hi Olivia thanks and yes it would. Have a great day.